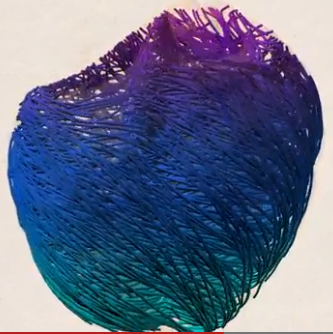 This computational model of the heart was developed at the Barcelona Supercomputing Center. Image is a screen capture from a video on the Visual.ly blog. Visualization people take note: In an article on the Visual.ly blog about the beauty of scientific visualization we read yet again disparaging remarks about rainbow color maps. To quote in its entirety: “Sometimes, scientific visualization also uses rainbow color scales, or inappropriately uses 3D techniques. This still produces beautiful images, but the usefulness of these images can be harmed by these techniques [emphasis mine]. The people who do this kind of work are extremely intelligent, so you might ask, why are they doing something wrong? The nature of SciVis requires people who are experts at some extremely niche subjects, and they spend the majority of their time learning about and working on these problems, unaware that there are better techniques for showing their data.” In other words, we’re so busy doing science we should be forgiven for creating poor visualizations. The article linked to above also includes a nice [at least for me] taxonomy of visualization. The NSF’s International Science and Engineering Visualization Challenge promotes communication of “science, engineering and technology for education and journalistic purposes.” They are now accepting entries with a deadline of 30 Sep 2013. 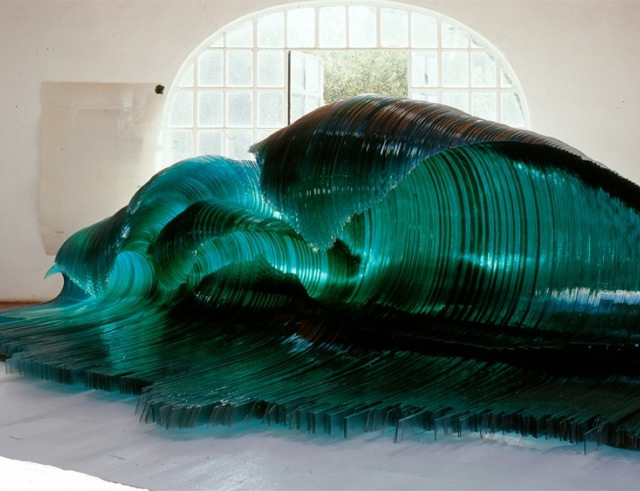 The Visualizing Data blog presents Best of the Visualization Web for January 2013. Casting simulation from STAR-CCM+ v8. Image from CD-adapco. CD-adapco released STAR-CCM+ v8 [v8.02 to be precise]. Notable additions and improvements include an add-on for casting and foundry processes, parts-based meshing in which meshing parameters are associated with the geometric part, and JT Open integration for improved CAD interoperability. The February 2013 issue of CD-adapco’s STAR Academics Newsletter is available online. Autodesk, the largest CAE company depending on how you look at it, has rebranded with a new logo. ANSYS continues to make a lot of money. 2012 Q4 revenue set a record for the company at $220 million. They’re expecting something in the $200 million range for 2013 Q1. Monica Schnitger provides an analysis of the numbers. 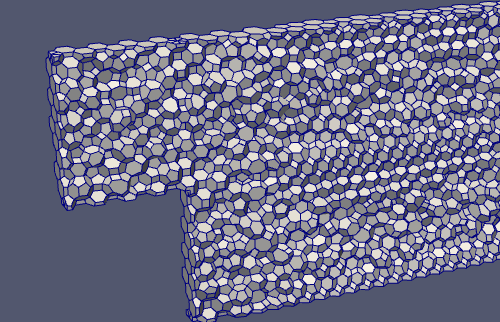 Polyhedral mesh for a backward facing step. From a Symscape comparison of poly, tet, and hex meshes. Dassault Systemes released SIMULIA V6R2013. This entry was posted in Events, News, Software and tagged ANSYS, Autodesk, Caedium, CD-adapco, SIMULIA, STAR-CCM+, Symscape, visualization. Bookmark the permalink. John, I don’t do a lot of blogs but yours is my favorite! Thanks, Woody. We’ll try to keep writing stuff that keeps you interested. No, I haven’t seen the “fff” website’s triangulation thing before. But now that I have, more investigation is necessary. John, I never realized rainbow colours were (considered to be) so bad. It would have been nice though if they had provided some examples of good colour maps. Having now read the paper, I have to say they are missing an important point. Yes, if the only “purpose of visualization is to effectively convey information”, the rainbow colour map is not the best choice. 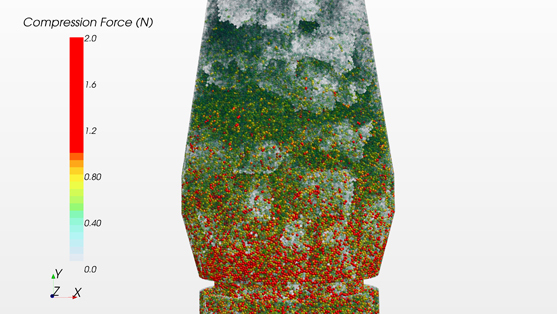 However, we all know that often in CFD the pictures need to look pretty as well. And then the rainbow map, in my opinion, is hard to beat. Roland, I suggest you look at the work of Edward Tufte. He is able to create visualizations that do both: convey information and look great.